I like a good rumor every now and then, and the latest rumor for the upcoming 5 player co-op RPG from Blizzard would be something I could totally get behind. The rumor goes that Diablo III would be seeing an open beta on September 11th of this year, testing out both the new Battle Net as well as the game. The rest of the rumor claims that the game would release on December 24th of this year. The Rumor Killer column on The Game Reviews contacted Blizzard for comment, and well, it wasn't completely shot down. 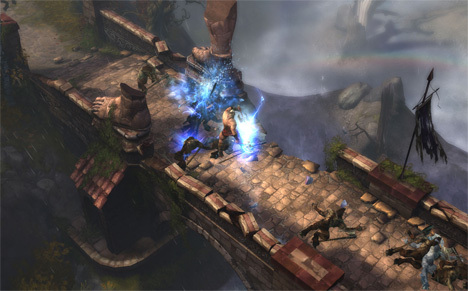 “As for Diablo III: Blizzard has not announced a release date for Diablo III at this time.” Says Ryan Arbogast, Associate PR Manager at Blizzard to TGR. So they got the standard PR line - which in a lot of cases is good. Why? Because that usually means at least part of the rumor is true, or has some shred of truth to it. I suppose all would be revealed this August during Blizzcon, we'll just have to wait until then.